For many girls, putting on your face is an integral part of the day. 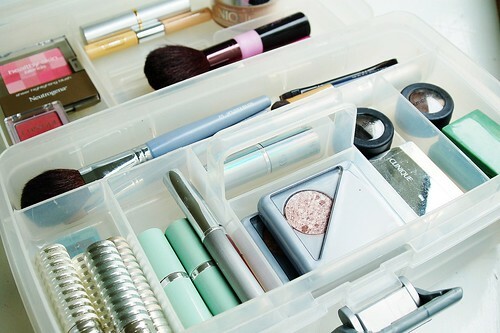 Whether you take five minutes or twenty, whether you have a few basics or a whole arsenal of make-up... there's one common denominator: make-up storage. Personally, I do my make-up at my mirrored dresser. My cosmetics are divided into several trays that sit out on the open on my dresser top: powder foundation + blush + eyeshadow, lip gloss + lipstick + chap stick, mascara + eyeliner, make-up remover + liquid foundation, and one for all my brushes/tools. I don't always put every little thing back in the tray it belongs in... so it often ends up strewn all over my dresser top, which calls for frequent tidying. I had to share this one because first of all... who has that much make-up?! I'm completely amazed at all the different colors of lip gloss. 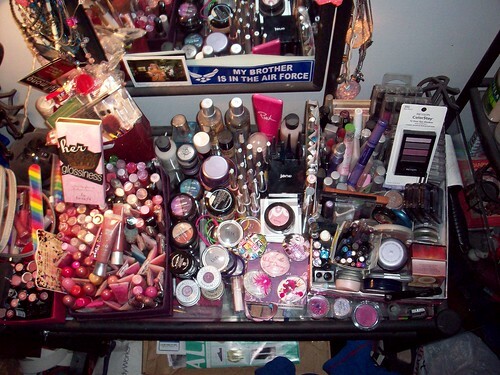 And for having such a cornucopia of cosmetics, I think this girl is quite organized. Everything is grouped in boxes. At first, it's a lot to look at. But then, you see that everything has its place. I like this one because it's unexpected and exudes vintage prettiness. Brushes, body mists, and some earrings are stored in what looks to be a tray made out of a vintage picture frame. 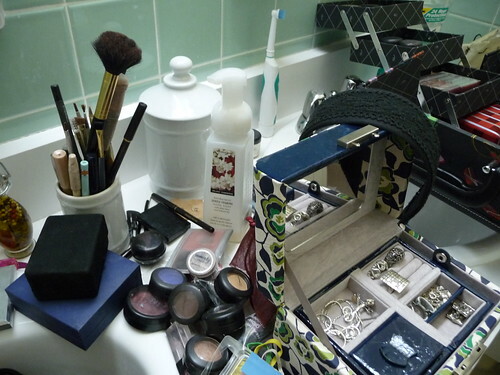 Essential make-up items are kept in a nearby porcelain bowl. And the little pink flowers are such a lovely detail. If you live in a dorm where storage is limited but your desk is huge, take a cue from this girl. 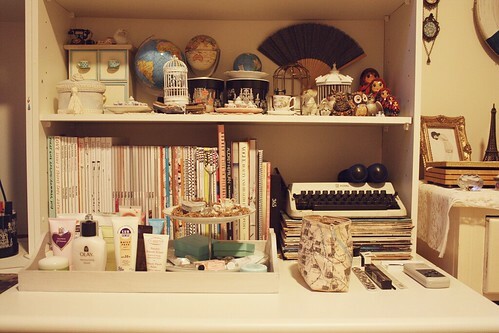 She keeps her beauty products on a tray onto of her desk. I love that her make-up is stored on a vintage cupcake stand. The tray keeps everything within boundaries and can be moved if you need to temporarily spread out the textbooks. 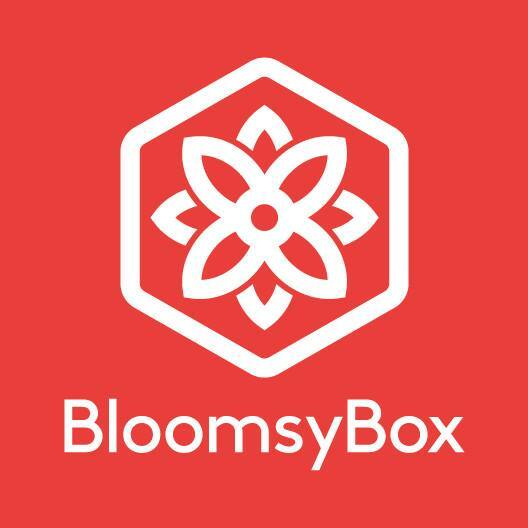 A large cosmetic box is a traditional but extremely functional option that makes it ideal for any college girl. This is especially appealing if you live in a dorm and have to get yourself around in a communal bathroom. If you rent an apartment, you're probably lucky enough to have a bathroom all to yourself. In that case, you're free to spread your make-up out and leave it out however you wish. 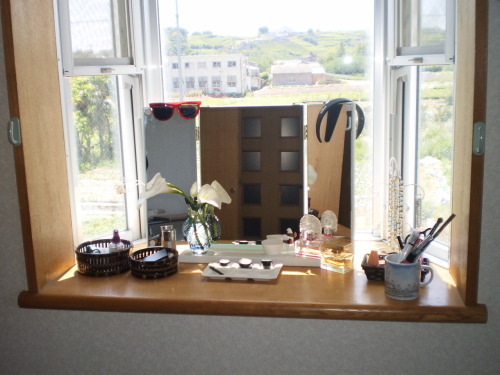 If space allows you to have an area designated solely for make-up, try to put it near a window. Natural sunlight is the BEST lighting for applying cosmetics. This gal turned her window ledge into a vanity and I'm definitely coveting it. 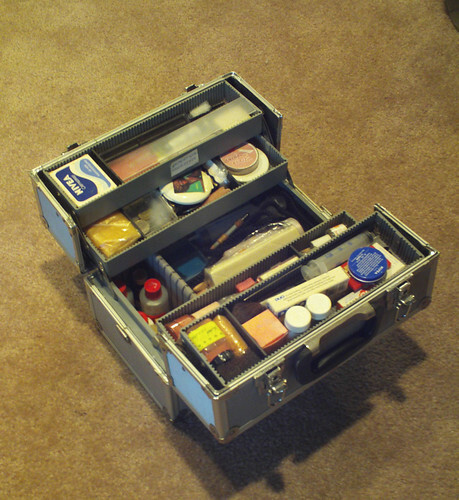 How is your stash of cosmetics organized? This post was so inspirational! What pretty pictures I keep my make-up in different make-up bags (one for eye related cosmetics the other lip related), I've got a case solely for eyeshadows, a pretty mug in which I keep my tools and brushes, and I leave my face products on my vanity (it's rather large so there's space for everything! )I'm in the process of "renovating" my make up collection so I loved these ideas on how to store make up! Thank you! I love this post! I use plastic drawers for most of my make up like in the next to the last picture. But for my everyday make up I have one tray on top of my vanity that stays out. Good post! I use two desk drawers for my makeup- more eye makeup then anything else, so it goes in the second drawer, and everything else goes in the top. Hello, i make great custom lipstick holders to help with your makeup organization if you are interested. i promise it is worth your time, my stuff is super cute! 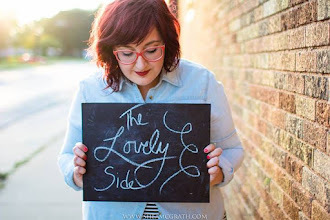 check it out, all of my info is on my blog. 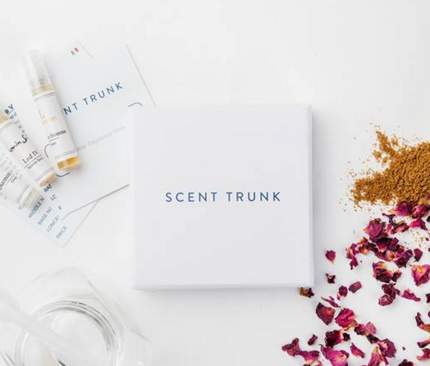 These are indeed wonderful tips in organizing cosmetic products. Vanity items such as these really need to be stored properly to maintain their quality and keep a clutter-free home. Thanks for sharing.